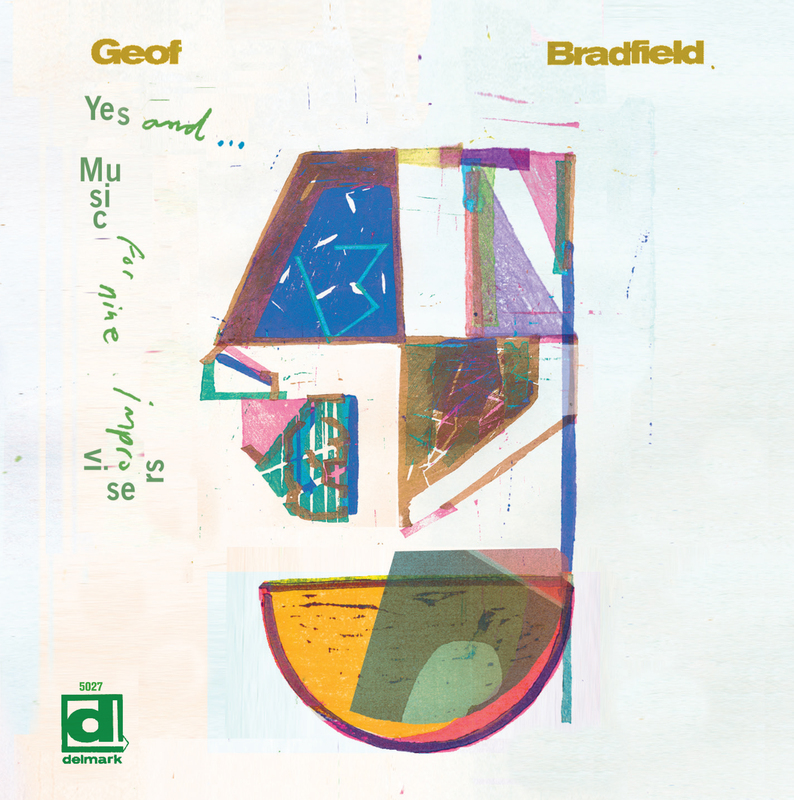 Since the early 2000s, saxophonist and composer Geof Bradfield has been an integral part of the ever-fertile Chicago jazz scene, bringing his substantial talents to music that easily bridges the divide between the traditional and the avant-garde. His records have explored a remarkable range of styles and themes: from African Flowers (Origin Records, 2010), which traced the intersections between African folk forms and American jazz, to Melba! (Origin Records, 2013), Bradfield’s tribute to trombonist/arranger Melba Liston, to Our Roots (Origin Records, 2015), a rollicking revisiting of the music of Leadbelly, Bradfield has shown his willingness to take inspiration from anywhere. Yes and…Music for Nine Improvisers may be his most ambitious yet. It is an eight-part suite with a larger ensemble, which allows for a wide range of harmonic and timbral possibilities, as well as more open-ended improvisational strategies. With a nod to Bradfield’s post-bop origins in the early 2000s, the album begins with just a trio on “Prelude”: Bradfield on tenor, along with bassist Clark Sommers and drummer Dana Hall. And it’s a cooker, with Bradfield’s athletic maneuvers, Hall’s crackling drums and Sommers’s insistent swing getting things moving. It’s easy to get lost in the trio’s firepower, forgetting that there are still six other musicians waiting their turn. But that’s rectified on “In Flux,” an aptly-titled, shape-shifting piece that offers rich ensemble parts to accentuate some potent solos from guitarist Scott Hesse, altoist Greg Ward and trumpeter Russ Johnson. Then we’re back to a trio for “Chorale,” only this time it’s with different personnel, as trombonist Joel Adams joins with Johnson and the group’s other trumpeter, Marquis Hill, for a somber, reflective piece that is both striking in its simplicity and malleable enough for the three to develop it subtly as it unfolds. And thus is set the trajectory of the suite: longer, more thoroughly-devised compositions that utilize the entire band are offset by briefer, less-structured interludes which give smaller subsets a chance to articulate their ideas more extemporaneously, in close collaboration. One of the virtues of Bradfield’s writing and arranging is his ability to work with such different musical temperaments. Players like Johnson and Anna Webber, figures usually associated with “out”-leaning ventures, are given room to do their thing, even though the music as a whole doesn’t really scream “avant-garde.” The long, winding piece “Anamneses” furnishes ample space for Webber’s bass flute, as she offers an evocative, ruminative solo in conversation with both Adams and Hesse before Johnson joins the proceedings with a searing statement that traces an arc from searching wonder to a fiercely-burning intensity. But the group can also swing with the best of them, as on “Impossible Charms” both Hill and Adams provide in-the-pocket solos that showcase their impeccable bop bona fides. The record’s closer, “Forro Hermeto,” is really the ideal finish, as it lets each of the players bring their distinctive voice and personality to the mix. It’s a Brazilian-flavored number with a danceable groove, with solo chances and vigorous back-and-forth by all; and the collective energy all nine musicians create is a testament to the cohesive spirit Bradfield has generated on this splendid album.